Royal is a 1985 AQHA Gelding. He is a very special horse to us. He will live out the rest of his days at O'Rear Farm. He has over 300 Points in the AQHA and has been shown in everything from showmanship to english to western to reining so he is a been there done that type of horse. 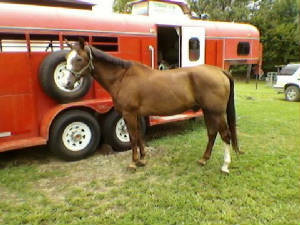 He has given to everyone all his lfe so now its his turn to just relax and be a horse and enjoy life.